We offer FREE computer & electronics recycling. Bring your e-Waste to us; we will destroy any personal information FREE-of-CHARGE before it is safely disposed. 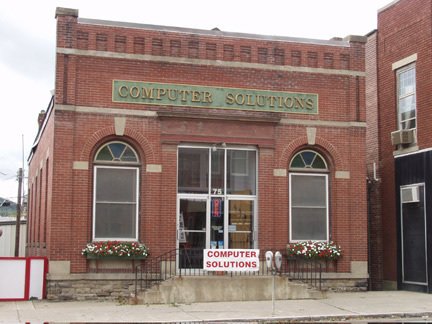 Since 1991, the purpose of our business is to provide outstanding, customer focused, computer sales and service for the community and people located in Wellsville and the surrounding communities. At Computer Solutions, customer satisfaction is very important to us. We provide a wide range of services from computer sales and service to low cost printing supplies.